RIZIN 14 is in the books. On New Year’s eve, RIZIN held an event inside the Saitama Super Arena in Saitama, Japan. 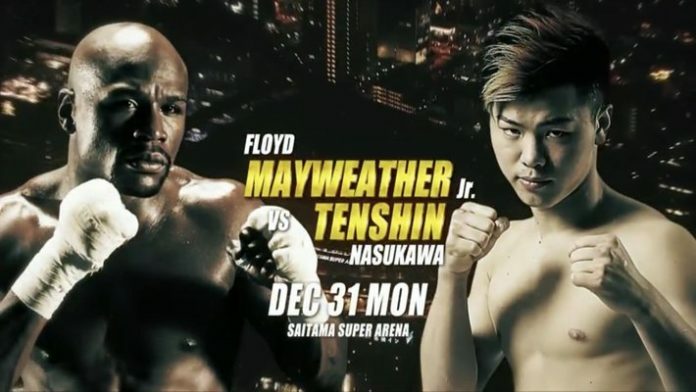 The main event featured an exhibition boxing match between Floyd Mayweather and Tenshin Nasukawa. Mayweather made short work of Nasukawa, stopping him in the first round. The co-main event saw a clash for the RIZIN bantamweight title. Kyoji Horiguchi collided with the Bellator bantamweight champion Darrion Caldwell. While Caldwell utilized his wrestling, he fell into a guillotine choke in the third round and was forced to tap. Horiguchi is now the inaugural RIZIN bantamweight champion.